Some people think sandwiches are boring, but those people are wrong! Either that, or they're just eating the same ol' plain sandwich day in and day out. 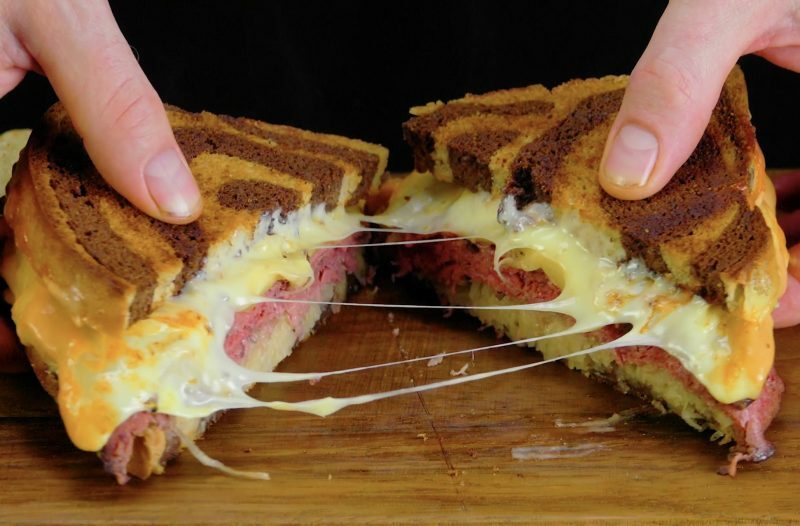 If you're one of these people, then you have to try the Reuben, an American classic that takes a grilled cheese sandwich to a whole new level with tender corned beef, tart sauerkraut, piquant Swiss cheese, and tangy Thousand Island dressing, all of which is perfectly laid out between two crisp slices of marble rye bread. 1. 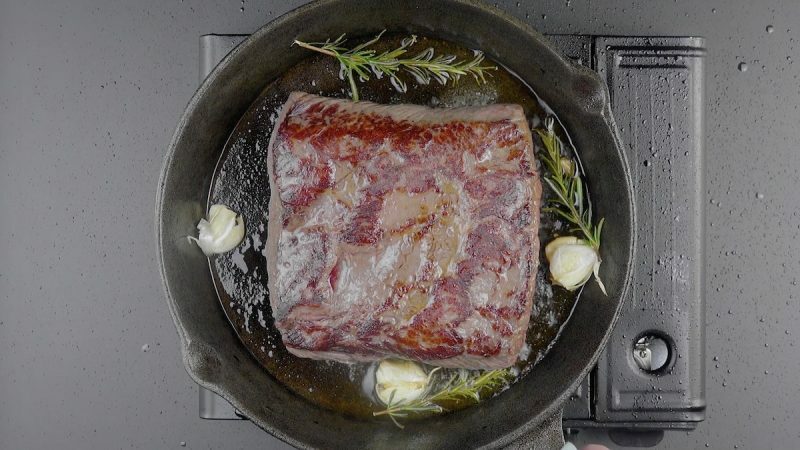 To make the corned beef, fry the beef brisket on all sides in a bit of vegetable oil. Add rosemary and garlic to the pan and season the meat with salt and pepper. Then bake the brisket at 250°F for 60 minutes. 2. While the beef is in the oven, start to prepare the marble rye bread. Prepare the bread as shown in the video, cover the dough, and let sit for about 1 hour and 30 minutes. 3. 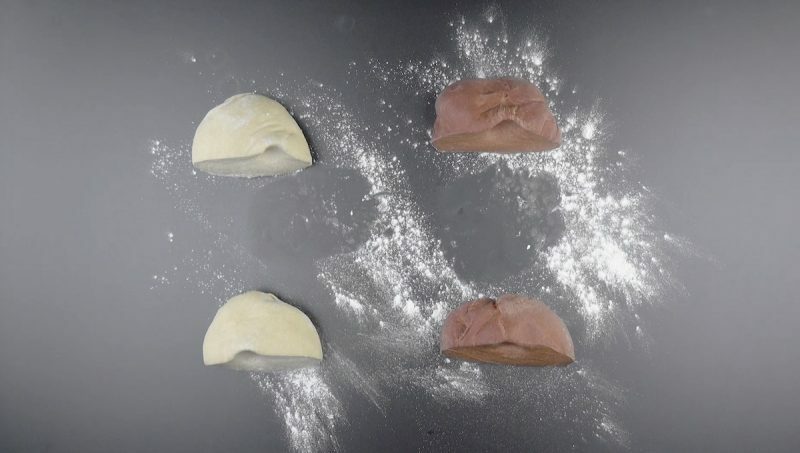 Halve each dough so you are left with 4 pieces. 4. 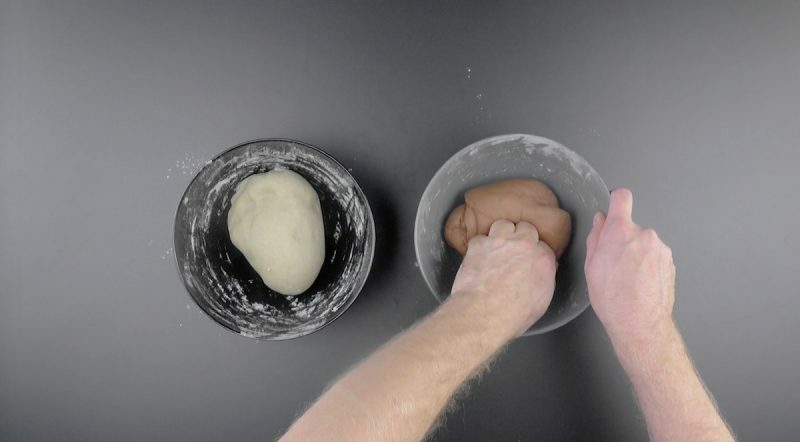 Roll out all 4 dough balls and layer them on top of each, making sure to alternate between light and dark. 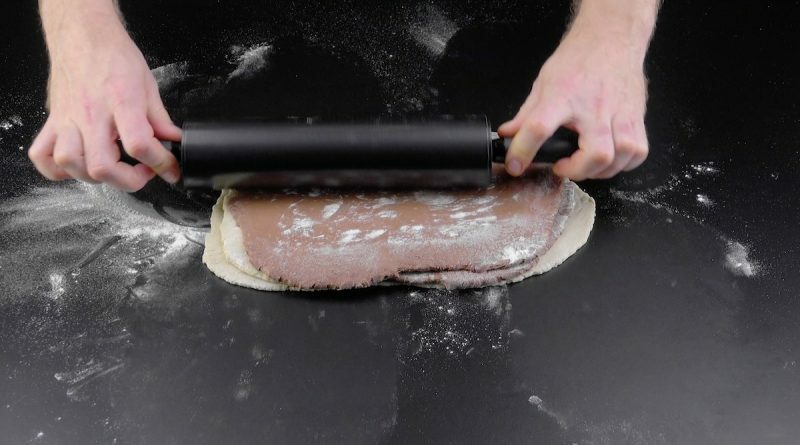 Lightly roll out the dough stack. 5. 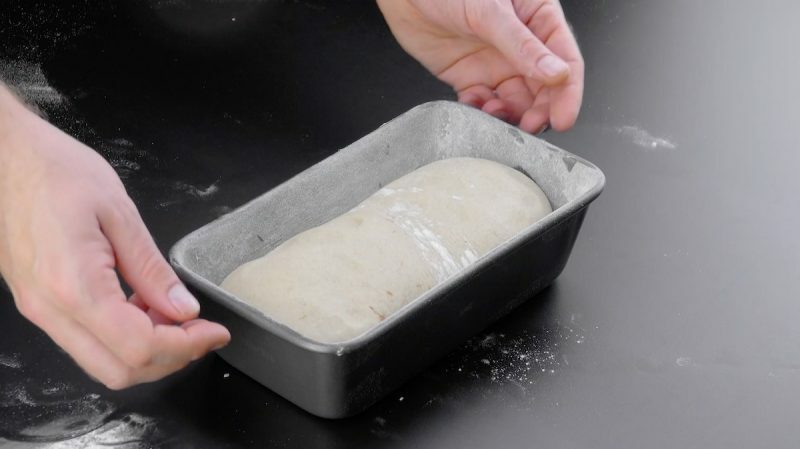 Fold the dough into a loaf shape and lay it in a floured loaf pan. Bake at 375°F for 30 minutes. 6. 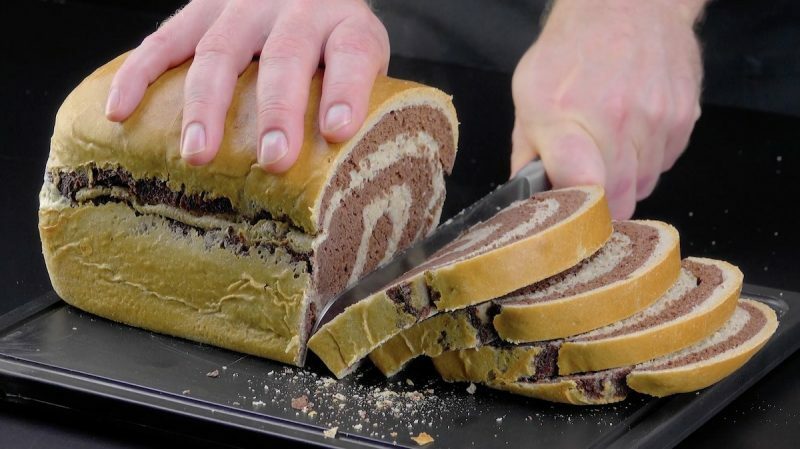 Let the marble rye bread cool and then cut it into thick slices. 7. Heat some oil in a pan and place a slice of bread in the middle. 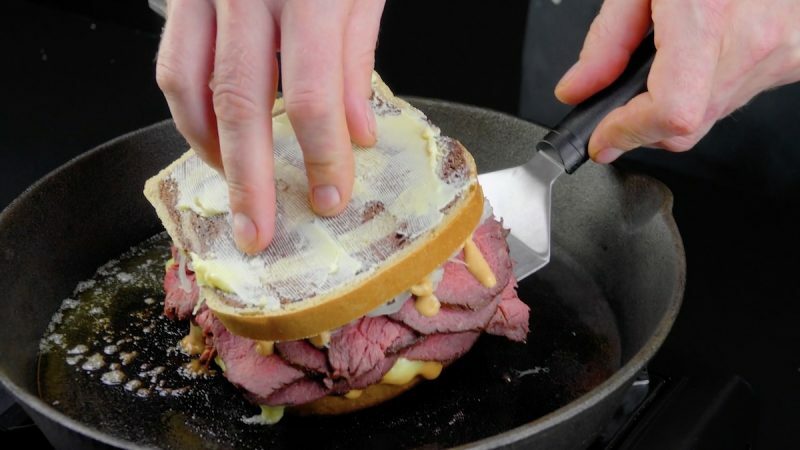 Spread Thousand Island dressing over the bread, followed by slices of Swiss cheese, corned beef, and sauerkraut. Spread more Thousand Island dressing over the sauerkraut, and top off with another slice of marble rye. 8. Butter the upper slice of bread, flip the sandwich over, and grill the other side until nice and crisp. Your Reuben is ready to go! This sandwich really looks great, but the true test will be when take your first bite. Thanks to the homemade bread and flavorful toppings, we're sure it will pass with flying colors! You can find the recipe for the Spaghetti & Meatball Sandwich featured in the bonus video here.